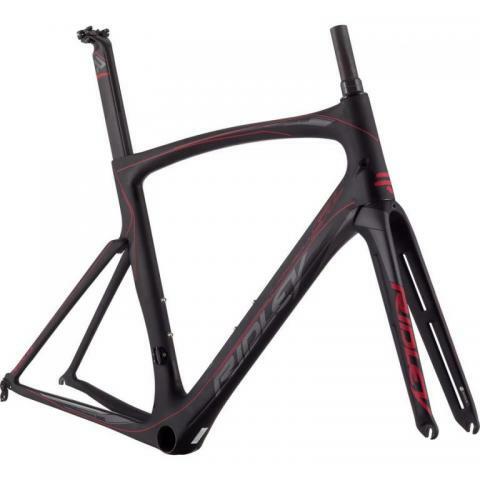 Unique alloy frame with new technical features (Press fit BB30, oversized head tube). The oversized sharp edge tubing guarantees the right amount of stiffness and a high impact resistance. The specially developed flex areas in the seat stays absorb vibrations from the road to give the rider the right amount of comfort. This is a true all-rounder! Fenix-quality ride comfort but in geometry that grabs victory for female riders. Nevertheless the design is equally suited for leisurely century rides as well as weekend warriors. The leading edge of the Liz downtube resists impact strikes on long gravel rides, and the vibration-damping carbon technology and layup schedule promises comfort during long days in the saddle, as does the upright ride position. A tapered headtube an unobtrusive internal cable routing delivers a clean appearance and improved performance. The ultimate in high-performance, but at an alloy price. Get Fenix ride quality, complete with shaped tubes and internal cable routing for less drag and a cleaner look. A slightly more upright position makes all-day rides pass nearly effortlessly. The Helium is everything you don’t see. No remarkable shapes and extra’s, but just an excellent bike that does what it needs to do. It combines lightness with comfort while its shape goes way back, making it a no-nonsense classic beauty. Because we all know that less is more. 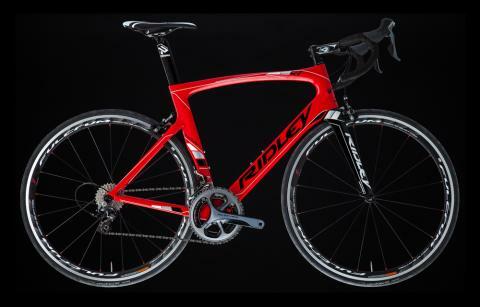 Innovative layups and a relentless drive to minimize frame weight is what causes Lotto Soudal’s Tim Wellens to praise the Ridley Helium SL. 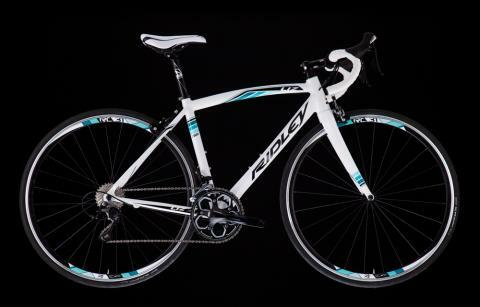 The bike possesses tremendous power transfer, important for sprint points and powerful climbing characteristics, and it boasts the lightweight technologies that form Ridley’s design DNA, including the precise-steering tapered headtube, Pressfit 30, and internal cable routing. Refined tube shapes, from the sharp edge downtube to ovalized seatstays, create pedaling efficiency and dampen high-frequency road vibrations, respectively. The Noah is all about speed and performance. We’ve put all the successful ingredients of the Noah SL into the ‘ordinary’ Noah, making it a top class, yet affordable bike. 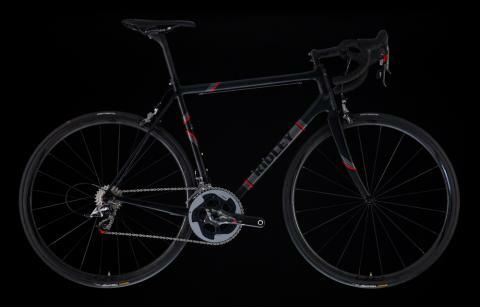 The rigid 24-ton carbon transfers every pedal stroke right onto the asphalt. If you need a companion to set foot on racing grounds, then take the Noah with you. Shedding the grams from a frame design in the name of creating an ultralight deluxe-o-matic whatever model often results in either a flimsy, flexy frameset that's too easy to overpower, or a stiff, jittery one that's lost its ride quality — thankfully, the engineers who designed the Ridley Helium SL knew not to mess with a good thing. The SL is a "Super Light" version of the a famous Helium that doesn't give up a bit of the original's ride quality or stiffness. 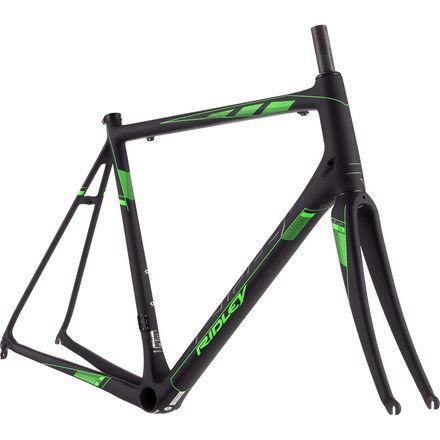 Ridley designed the Noah SL to capture the essence of speed and performance in an ultralightpackage and via some of the most sophisticated aerodynamic technology in the industry.It relies upon lessons learned from a strong racing heritage, and the design sets a new benchmarkin the aero category. 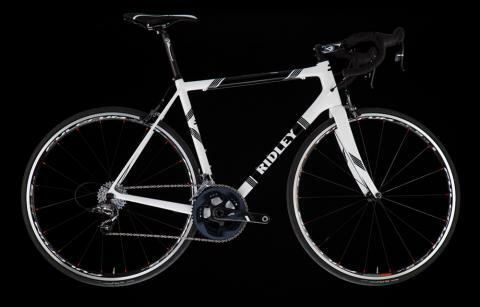 It stays true to Ridley’s form-follows-function design principle, where everydetail has been studied and tested to reach ultimate performance.